Admissions Open at Shaheed Zulfikar Ali Bhutto Institute of Science & Technology's Karachi Campus for the batch Fall 2018. SZABIST offers admissions in different fields of study for Bachelors, Masters, and Phd. you can apply for BS - Bachelor of Science, MS - Master of Science, Phd - Doctor of Philosophy, Phd Computer Science. 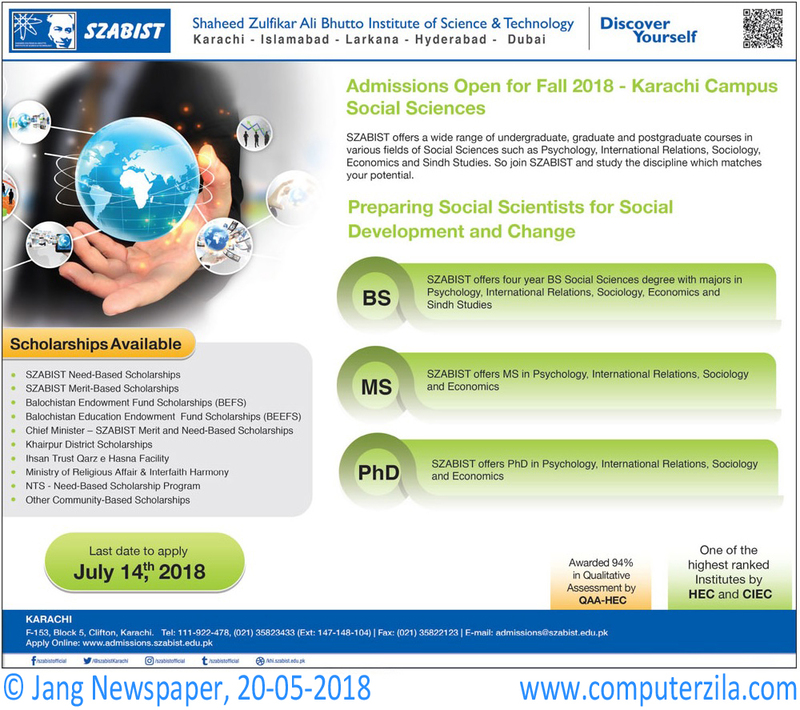 SZABIST offers a wide range of undergraduate, graduate and postgraduate courses in various fields of Social Sciences such as Psychology, International Relations, Sociology, Economics and Sindh Studies.